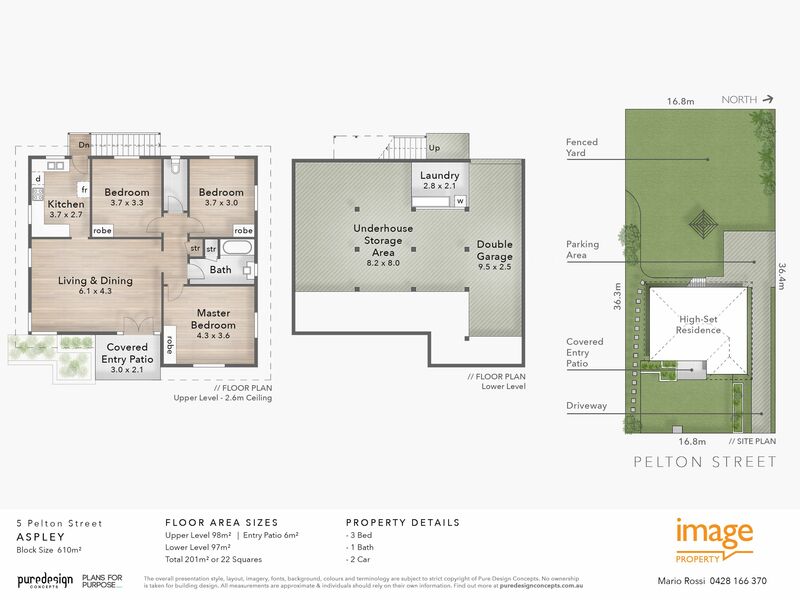 Presenting an entry level home ideal for owner occupiers and investors, this residence offers endless appeal only moments from lifestyle amenities. Featuring a low maintenance design on 610sqm, ready to move in and enjoy, there is scope here to add additional value through a renovation or by raising and building-in underneath (STCA). Filled with character timber flooring, French doors and casement windows, the interiors reveal an air-conditioned living area, functional kitchen, shared bathroom and three well-sized bedrooms. Located just a moment’s walk to the shops, cafes, eateries and buses along Gympie Road, Aspley Hypermarket, Aspley East State School and St Dympna’s Primary School. 6 minutes from Westfield Chermside and close to parks, motorway and Nudgee College, this home is only 20 minutes to Brisbane Airport and 25 minutes to the CBD. Take advantage of this exceptional locality and make a wise investment in your future. Act now and arrange your inspection with Mario Rossi today.